We are a coalition of community-based groups, community leaders, and non-profit organizations committed to human rights. We came together in April 2015 because we knew from personal experience or were seeing in our backyard the need for accountability, equity, and transparency in Raleigh policing. 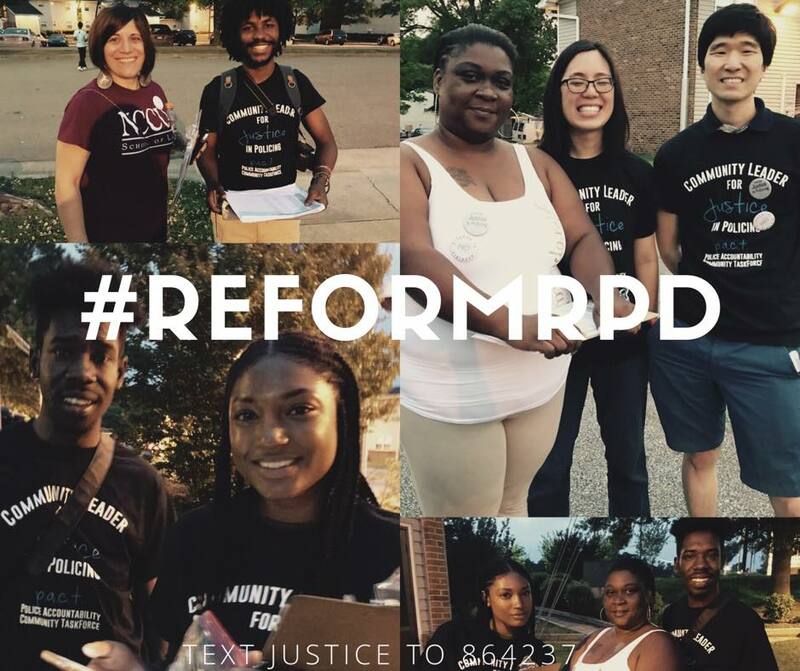 We're working together to educate our community on our rights and end racial profiling, selective enforcement, excessive force and harassment by police. For action alerts text JUSTICE to 864237. Raleigh PACT is a public charity that only engages in activities that are permissible under Internal Revenue Code section 501(c)(3). Raleigh PACT and the members of the coalition are strictly prohibited from participating or intervening in any political campaign on behalf of or in opposition to any candidate for public office. All Raleigh PACT activities will be strictly non-partisan. In addition, Raleigh PACT activities will not be coordinated with any candidate, political party or other partisan entity.